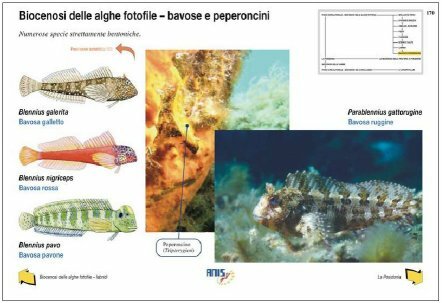 The book “Biologia del mare: il Mediterraneo”, written by Fernando Folini, with Luigi's Fratini collaboration, Stefano Moretto and Lorenzo Parma it is a pleasant novelty within the publications about the biology of the Mediterranean sea. The volume, in the special type “Neolibro”, doesn't introduce a classical list of animal and vegetable organisms but a series of matters, developed in rigorous and complete way, that can be faced in sequence, as in a normal text, or through reticular runs. This organization makes the optimal consultation for all the necessities and satisfies every reader. Really notable the formulation of every single table, that introduces a central matter, of great and pleasant visual impact, with graphic and textual elements. In every of they is signalled, in essential and effective way, the matters treated in the preceding and following page, as well as possible correlated matters, developed in other tables of the text. It never misses a profit empty panel where the reader can marks notes and reflections, while other panels satisfy the necessities of close examination. In this text there are all the principal information on the sea biology of the Mediterranean, from the physical-chemical characteristics of the sea to notes of ecology, to the description of the coastal sea environments up to the presentation of the animal and vegetable kinds. 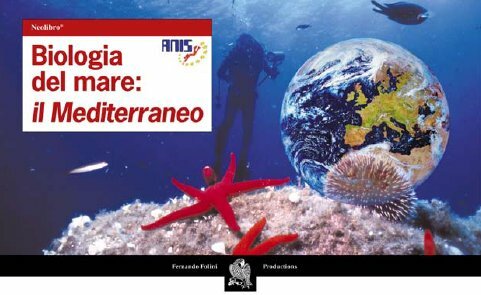 “Biologia del mare: il Mediterraneo” can be then considered jewel for all the impassioned of the sea and of the nature, from the scuba diver to the student, and to the navigator. Example of table of the book "Biologia del mare: il Mediterraneo"